Tohatsu decals for tohatsu 2 strokes engines M18, M18D, M18E, MD18D from the mid 90's. 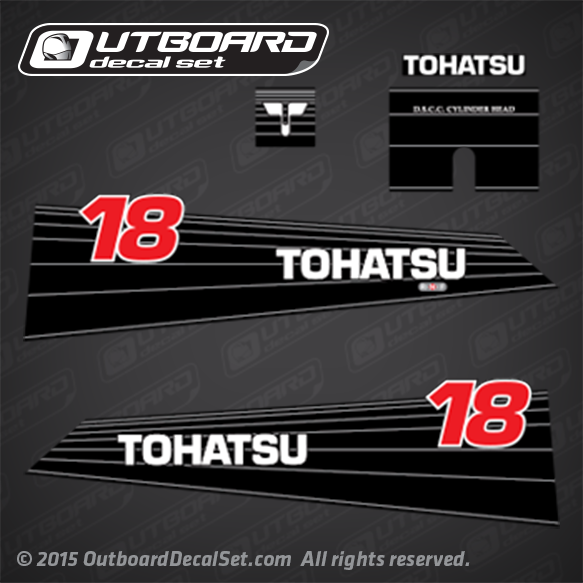 Tohatsu Outboard decals for M18 engines. Australian version.